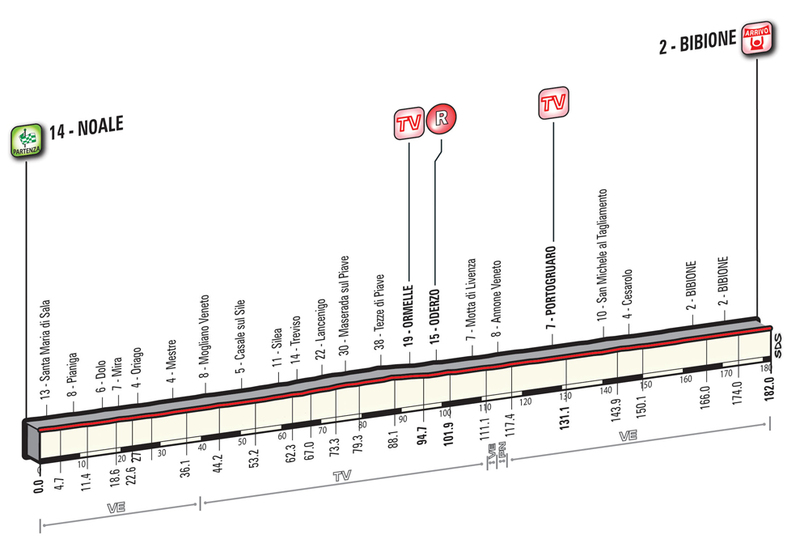 The sprinters have a great chance of returning to centre stage on Thursday’s 182km journey from Noale to Bibione and will be eager to ensure that they do not spurn this opportunity for rare glory at 2016’s Giro d’Italia. Giacomo Nizzolo has come close to taking his first Giro win on several occasions so far at this year’s edition and Stage 12 could be the perfect chance to finally seize victory. It will be tough without the assistance of Fabian Cancellara, but if Nizzolo gets a clear run at the line, there is every chance he will win. Arnaud Démare has seen himself wielding a very impressive FDJ leadout and could dominate this run to the finish line as a result of his rivals’ trains diminishing in recent days compared to his. André Greipel has turned in a couple of monstrous performances thus far and will be the favourite for many to take stage honours on Stage 12. If he successfully navigates his way to the front for a clean sprint, then the German powerhouse should dominate. Caleb Ewan appears to have been building up a head of steam during the previous week and will be eager to strike out here to take his debut Giro victory. The Australian has not hidden his ambitions of winning in Bibione and will be highly focused upon ticking this off his list of achievements. Sacha Modolo, Matteo Trentin and Moreno Hofland look to be the obvious riders forming the supporting cast of contenders come the finale of Stage 12 and are all capable of causing an upset. Posted on May 19, 2016 by Spokenforks	This entry was posted in Giro d'Italia 2016, News and tagged 2016, Andre Greipel, Arnaud Démare, Caleb Ewan, Giacomo Nizzolo, Giro d'Italia, Matteo Trentin, Moreno Hofland, Sacha Modolo, Spokenforks, Stage 12 Preview. Bookmark the permalink.